Let us Help You Advertise, Optimize and Sell Your Goods and Services on Twitter. let's chat about twitter ads! Twitter is familiar to most people as the social media network spouting out the most up-to-date news and information from around the globe. However, with a user base of 328 million monthly active users and growing this platform is clearly engaging people on levels besides being their go-to news ticker. The presence of more valuable users that can result in greater revenue is one of the most appealing parts of a Twitter advertising strategy. In fact, 63% of social media marketers identify Twitter as the platform that yielded the highest ROI. Twitter is unlike Facebook, Instagram, and every other social media platform out there. With this in mind, it’s essential to partner with a company that has the expertise and tools available to optimize a Twitter advertising campaign. A premiere Twitter marketing agency will have proven results in social media advertising and be able to speak specifically to best practices concerning Twitter ads. There is no one-size-fits-all approach to social media advertising, and a professional Twitter advertising firm will understand this. They will tailor a Twitter ad strategy to suit any business and industry, regardless of size or budget. Additionally, they will emphasize cooperation, as it is essential for adjusting and optimizing Twitter ad campaigns for certain audiences and brands. Taktical Digital is your premiere Twitter advertising agency. Our team of social marketing experts are dedicated to data-driven solutions that produce real results for clients. Our customer-focused approach means each and every business is a partner when it comes to launching their Twitter marketing campaign. As an award-winning performance marketing agency, Taktical Digital has a proven ability to maximize ROI and drive growth across industry verticals. For your Twitter marketing strategy, it’s essential to partner with professionals. With our in-house creative team and experienced social advertising department, we have the tools and knowledge to help you launch the most successful Twitter advertising campaign possible. We believe in providing hard data and analytics to each of our clients so they can measure success and drive development forward. When it comes to advertising on Twitter, we uphold this promise and make sure we’re providing only the most up-to-date analytics and measurement tools throughout the course of a Twitter ad campaign. 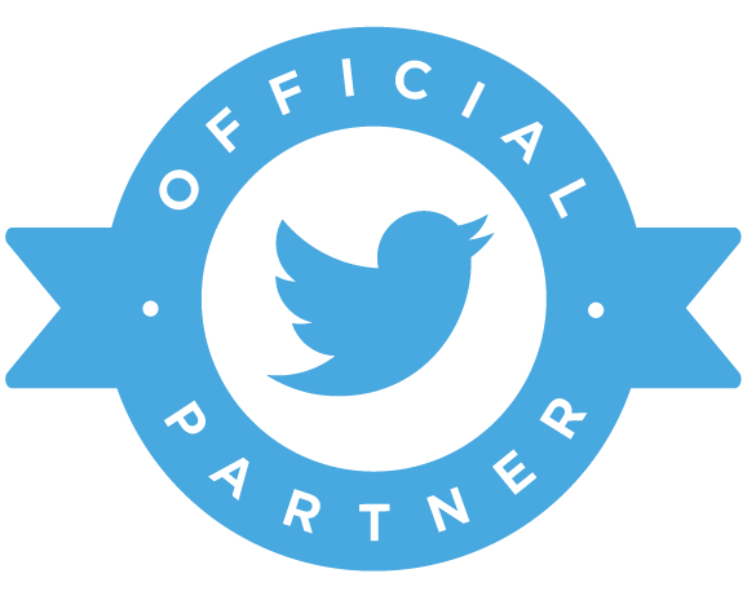 Taktical Digital is a partner to clients, from initial launch of a Twitter ad to scaling it up as the business thrives and grows. Get the help you need in launching a Twitter marketing strategy that yields the highest ROI and best results possible. Contact Taktical Digital today about our Twitter advertising services. We are the premiere Twitter advertising agency that can unlock the success this social media platform offers for brands of all sizes. LET'S CHAT ABOUT HOW TWITTER ADS CAN WORK FOR YOU! In one year, daily engagement on Twitter grew 14% from 2016, an improvement that it attributes to news feed updates and a more targeted effort towards marketing. By rolling out developments to the Twitter advertising platform such as premium video content sponsorship opportunities and Direct Message marketing, the company was able to skyrocket its revenue to $574 million in Q2 2017. 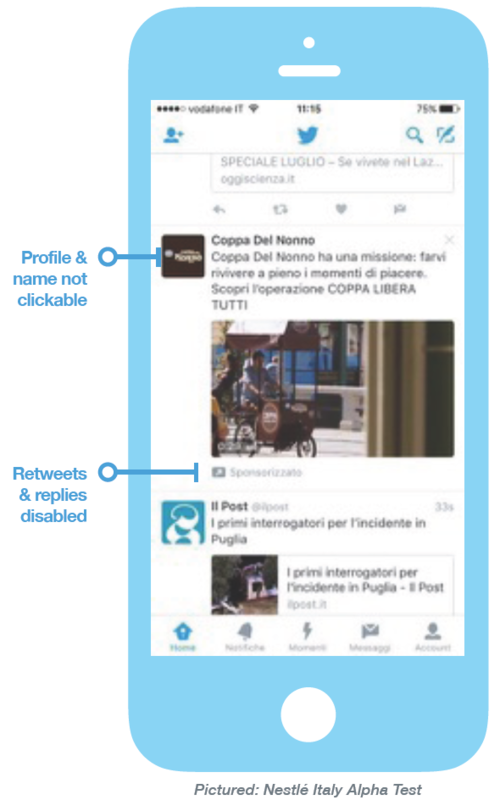 So what do these updates look like for Twitter advertisers actually launching their campaigns? The conversion goals for each include driving web traffic, promoting your app, increasing followers, and spreading awareness through impression tracking. These objectives represent the different type of Twitter ad campaigns that are available for businesses. Promoted Tweets appear at the top of search results, and are an excellent method of increasing engagement and reach. Like other tweets, they can be shared, liked, and interacted with by people that don’t already follow your brand. Promoted Accounts appear both in the sidebar of Who to Follow and in the timeline of targeted audiences. Instead of promoting a single tweet, a Promoted Account Twitter advertisement puts the company’s entire account in the spotlight. This type of Twitter ad accounts for much of the discovery potential of the platform, with 85% of people stating that Promoted Accounts helped connect them with new brands. Promoted Trends let brands boost a hashtag to the top of the trending topics list that appears on the left side of the page, within the Discover tab, and in the mobile app. This type of Twitter ad encourages users to use your branded hashtag and thereby spread brand awareness. Once you’ve selected your ad type and Twitter advertising campaign objective, the next steps are to select your target audience, set your budget, and create the ad. For social media marketers familiar with other CPC strategies, these steps will be familiar. However, given the differences in launching a marketing campaign on Twitter, it is recommended to enlist the services of a Twitter marketing agency.